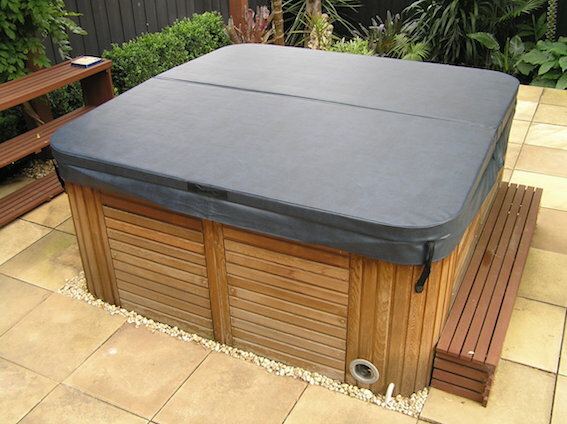 The modern day spa cover is often referred to as a 'hard cover'. This is not so much an accurate description as a term created to differentiate the current lids from the original soft covers. 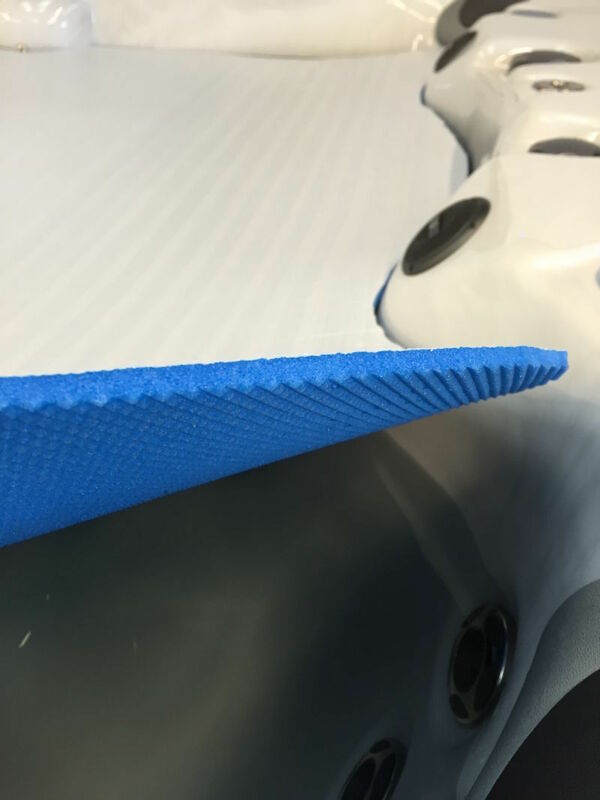 Early spa pools were often sold with 10 or 20 mm closed-cell polyethylene foam blankets ( looked like a gym mat ) that sat directly on the water. These blankets helped to keep the spa water warm. They were moderately successful but in time would become water-logged and mouldy. In the late 1970s a very talented lady from New Zealand called Leone Gamet invented a tray with an attached bean bag for use in serving meals to hospital patients. She named it the Stedi-Tray, later to be mass produced in China and sold as the Stable Table. One night, after returning home to a cold spa, Leone had the bright idea of throwing a heap of Stedi-Trays onto the spa and monitoring the heat up time and resulting heat retention. 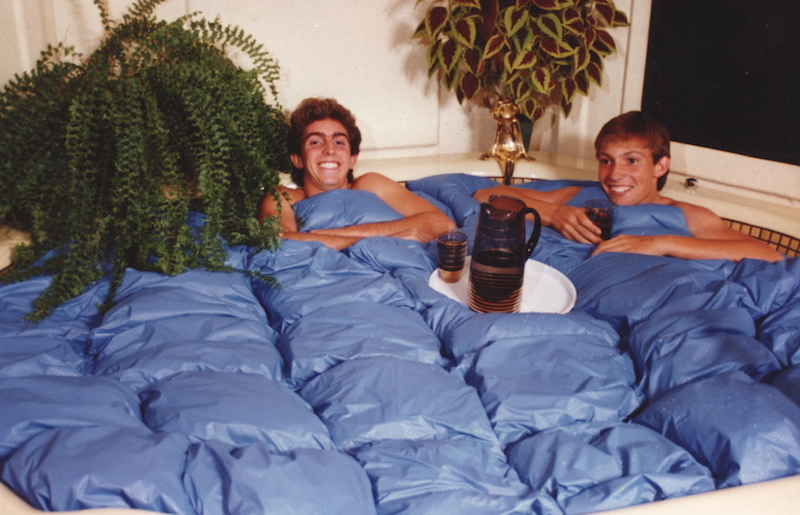 From that moment and through many trials and errors, the Spa Duvet was born. A thick doona-like cover made of high-frequency welded vinyl panels filled with granulated polystyrene. 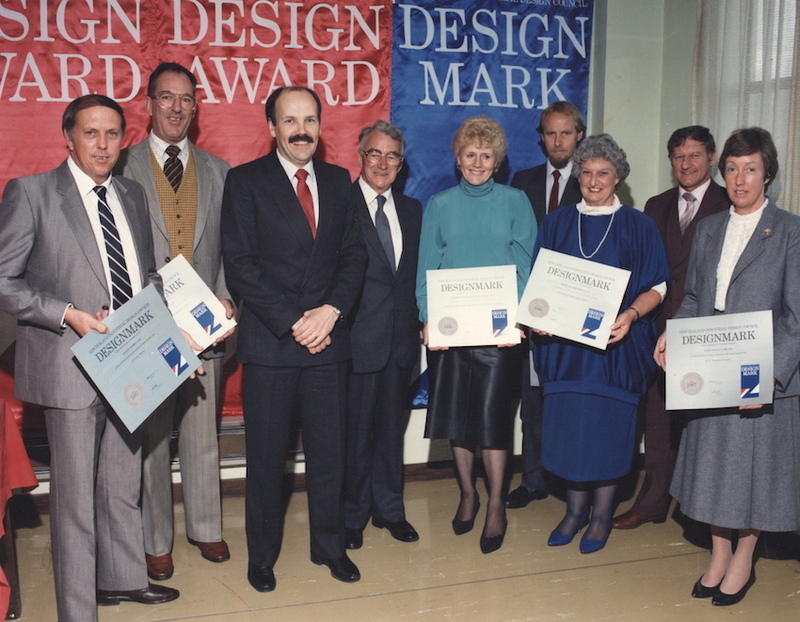 Leone Gamet, inventor and New Zealand business woman of the year in 1989, is my aunt. It was through Leone and her desire to enter the Australian market, that I first became involved in the manufacturing, supplying and installing of spa covers. Until the early 1990s, spa pools were more commonly found inside houses rather than in the backyard. This changed rapidly as more people could now afford a spa and it became the ideal centre-piece for an outdoor lifestyle. Spa pools were being exposed to much harsher conditions - the sun, rain, insects, debris etc. A more hardy cover was now required to protect the spa and the neighbour's kids. The 'Hard Cover' began life as a relatively expensive spa accessory. Its production was labour intensive and catered almost solely to the top end of the market. I should at this point acknowledge the original supplier. 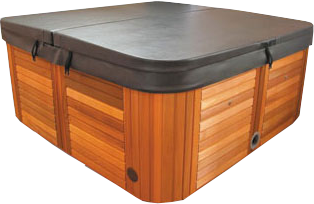 Essential Spa Products, owned by Steve Menzies, manufactured a good quality hard cover in Melbourne. Both Bernlee Marketing and Judd Spa Covers then entered the 'Hard Cover' market with 3" and 2" covers respectively. Both Essential and Judd failed to survive the turbulent early 90s while Bernlee Marketing continued on as the sole supplier for several years. Cover Specialists, Australian Spa Covers, Lagoona Spa Covers and Pinz ( from Adelaide ) all became established as spa cover manufacturers during the 90s. Recent years has also seen the emergence of Hardback Spa Covers. Victoria is clearly the market leader for spa and spa cover distribution. Nowadays a spa is no longer a luxury item, it's considered to be an integral part of home recreation. A spa is infinitely more practical than a swimming pool. It takes up less space, requires less maintenance, can be used throughout the year and is a lot cheaper to buy and to run. Likewise, a Hard Cover, once thought of as a luxury accessory, is now considered to be as essential as the heater, filter or blower. Almost every spa is now supplied with a hard spa cover. In 1988 a Hard Cover retailed for $600. In 1994 a Hard Cover retailed for $425. In 2016 a Cover Specialist's ( Spa Cover Man ) Hard Cover retails for $520. I wish everything else was like that. In 1988 the average house in Melbourne sold for $94,000.